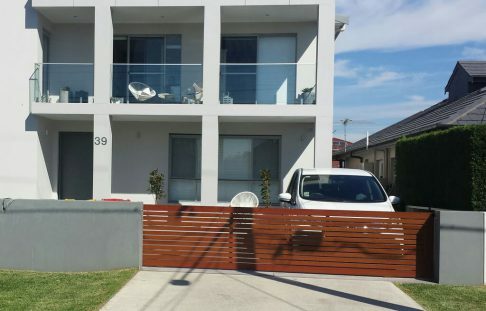 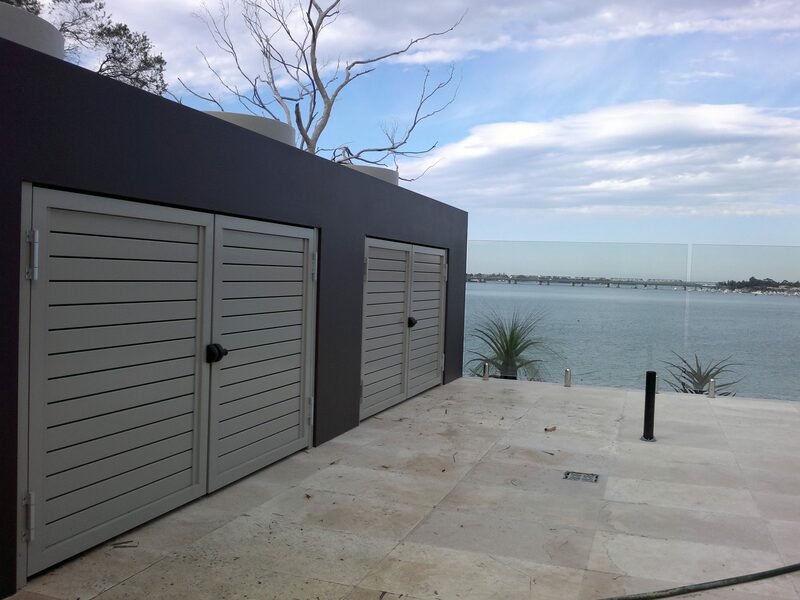 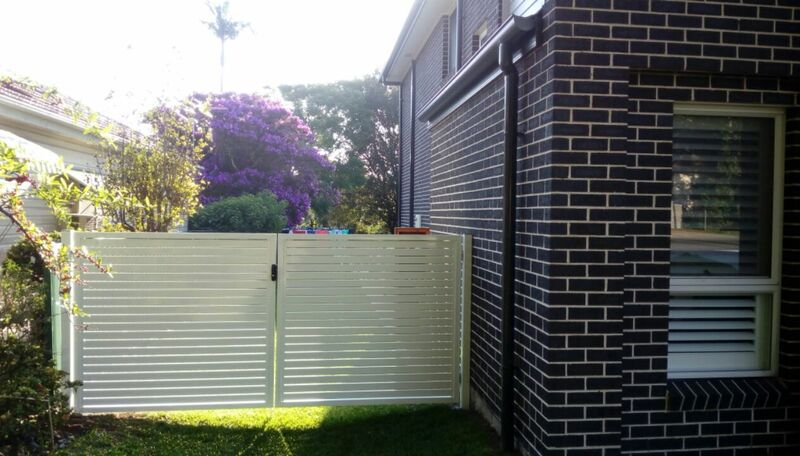 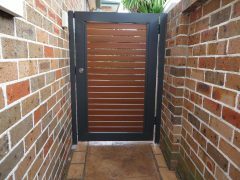 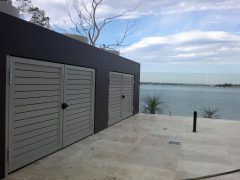 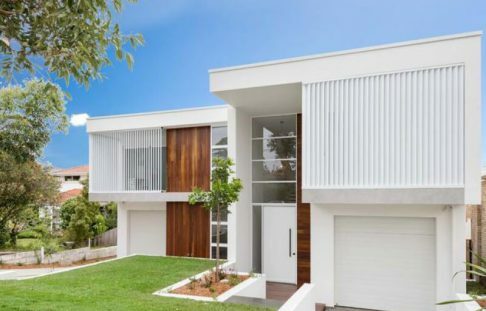 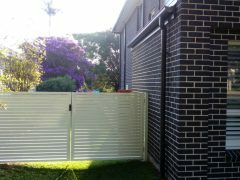 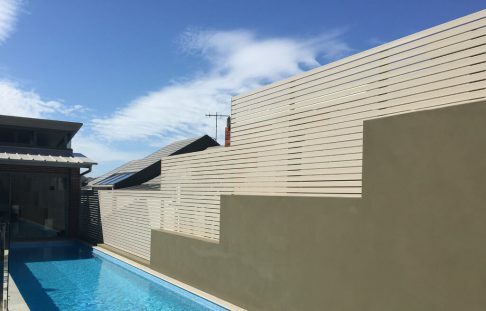 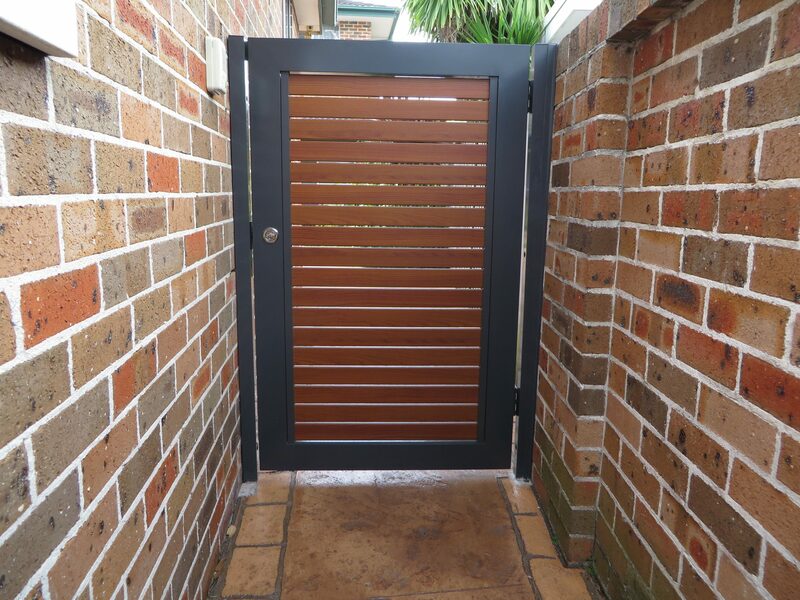 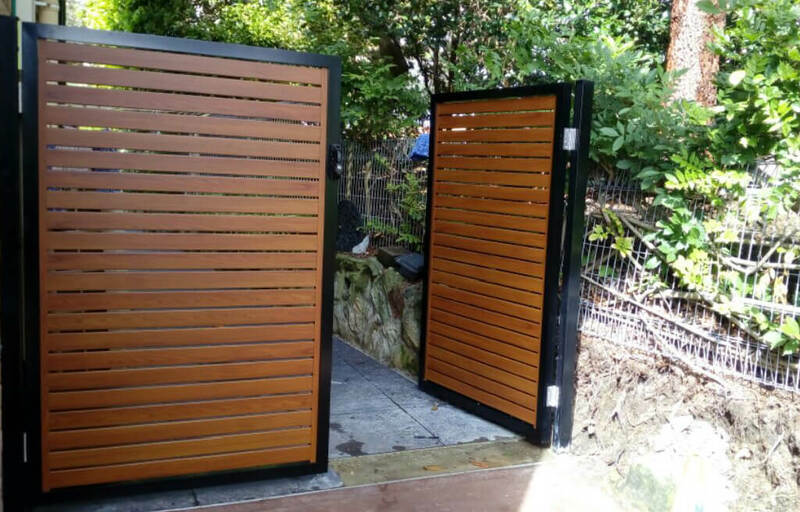 Our Swing Gates are custom made to suit your opening with Vertical or Horizontal 65×16 Slat Infill, Louvres and also custom designs available. There are no unsightly Tack welds and the gate looks the same from both sides! 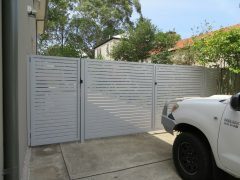 If you can provide us with the area size we can get back to you with a prompt quote. 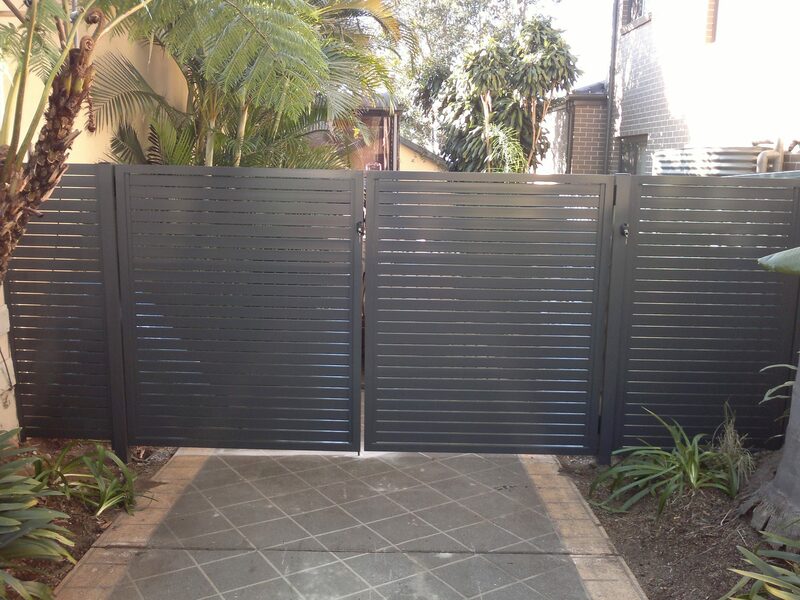 All our Gates include posts, Lock, Hinges, Caps & Fixings, so all you need is a drill!